If it is 6:30am on any given Tuesday or Thursday, you can be fairly certain that you’ll find Julz and Beth at Centennial Park; running, lifting, punching and crunching. Despite their hectic schedules, these two hard working ladies have been the most consistent attendees of Atleta’s group training sessions since its conception in February of 2013. We catch up with the girls in a rare moment of downtime to discuss why they love outdoor group fitness, the way it has improved their sports performance, and how they manage to never hit the snooze button when it’s time to train. How long have you been attending Atleta Body & Performance? Julz: Around twelve months now. Beth: I have been group training with Atleta since July 2013. What do you enjoy most about group training? Beth: For me, the best part is having fun whilst training with a group of like-minded people who are aiming for similar goals. It’s awesome having a trainer who can help you achieve your goals and who you feel completely comfortable with. Not being a natural runner (aka a plodder), I was a bit nervous about starting group training. Neil is great and really strips it back to the basics of all the exercises we do, ensuring we do them correctly and efficiently so you see results faster. Have you made any personal progress or achieved any fitness goals since you began training with Atleta? Julz: I feel stronger and more aware of what my body is capable of. I find that the more you train, the fitter you want to become. Beth: My main goal was to improve my general fitness, I found going to the gym and doing the same classes over again weren’t cutting it and I was getting bored. Atleta’s outdoor group classes put the fun and challenge back into my weekly fitness sessions. Do you play any sports? If so, have you noticed any improvements in your performance? 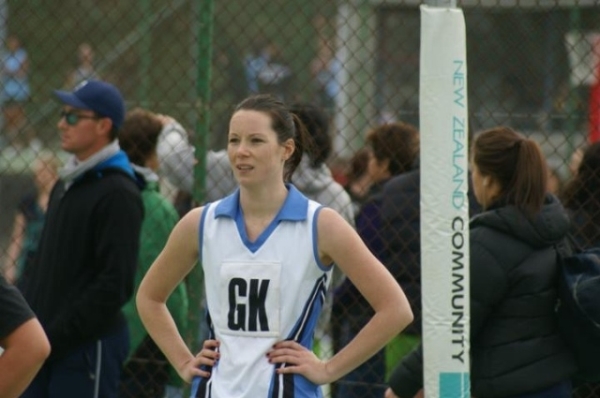 Beth: I play netball and have seen huge improvements in my fitness between last season and the start of this season. My strength, agility and fitness have been the best they’ve been since high school! In your opinion, what separates Neil from the countless other personal trainers in Sydney? Julz: Neil has a professional and personable approach. He is educated, specific and knows how to achieve the results his clients are asking for. He also laughs at all of our jokes (even when they aren’t particularly funny). Final (and most important) question, what motivates you ladies to get up and out of bed to train in the early mornings, week after week? Beth: You can sleep when you’re dead! (laughs) No but seriously, I find my day is much more productive and well-balanced if I wake up that little bit earlier. Plus you get to catch up with friends and have a good time before work even starts! Julz: A REALLY loud alarm gets me out of bed, plus the knowledge that everyone else will be waiting for me if I don’t show on time! The hardest days to get up and out there are always the most rewarding.